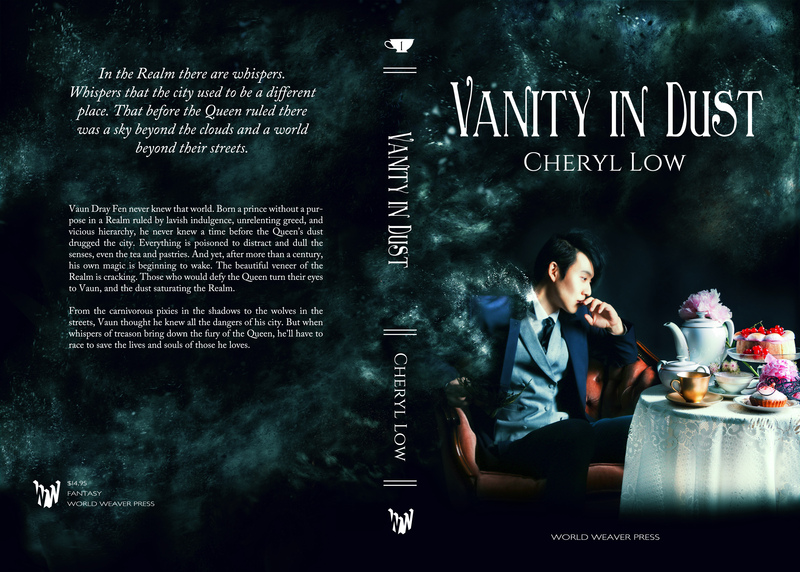 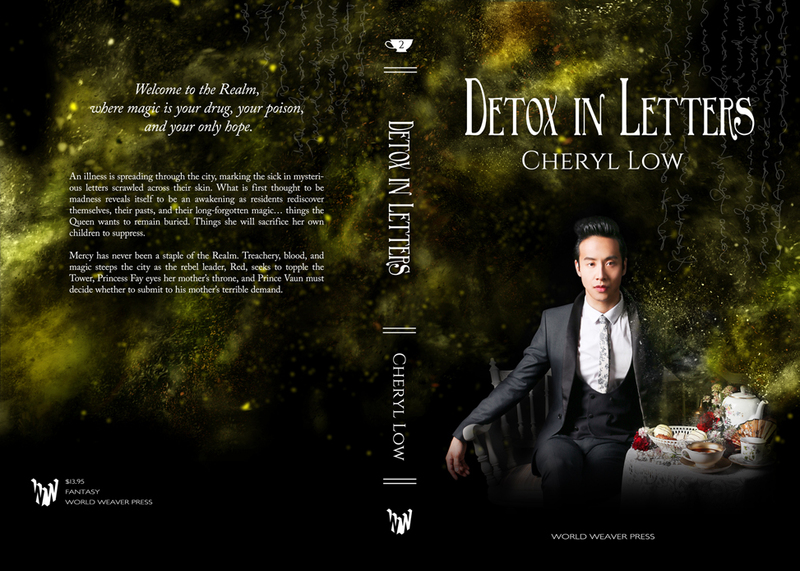 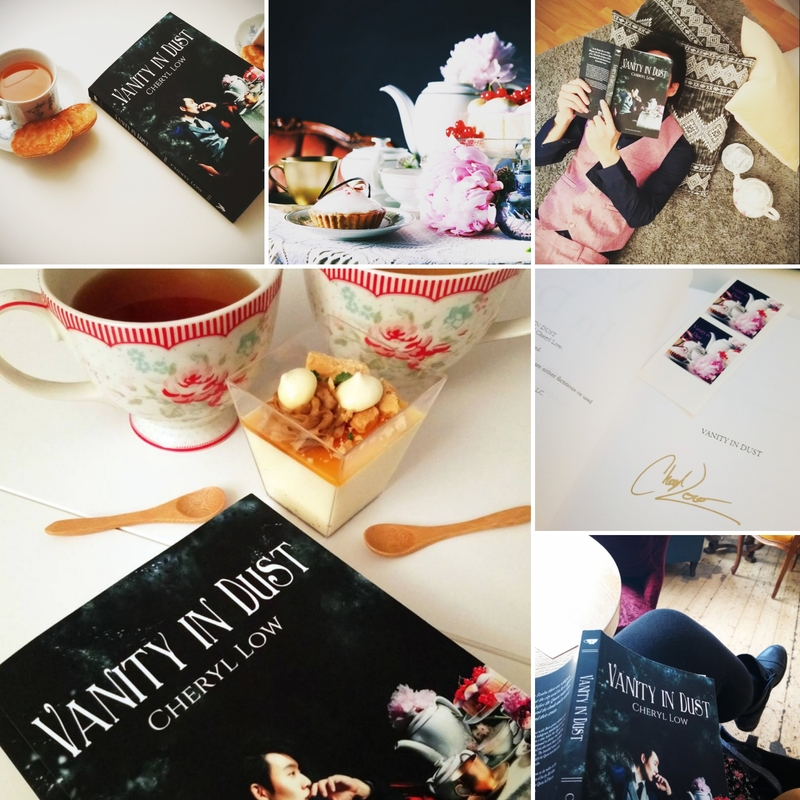 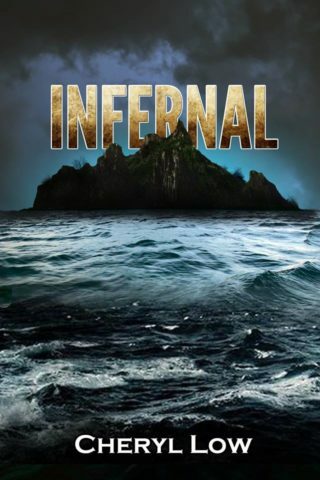 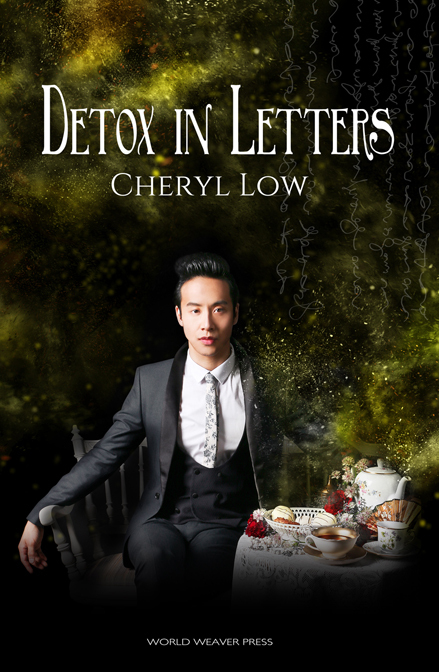 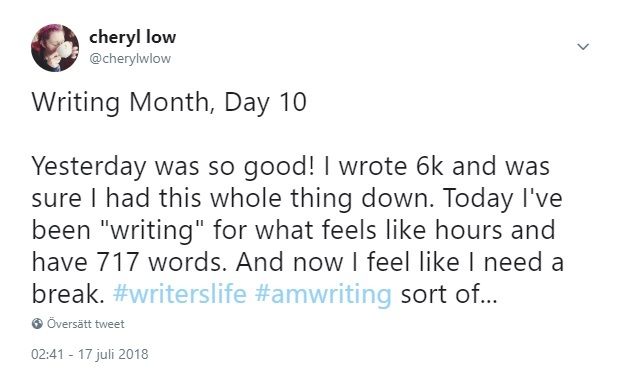 I write in bursts, about 1 month for 1 book, and this time I tweeted the experience! 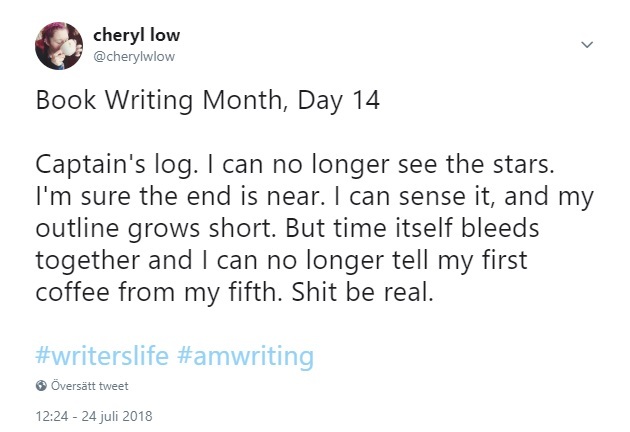 You may notice that though it’s 18 days total, there are days between. 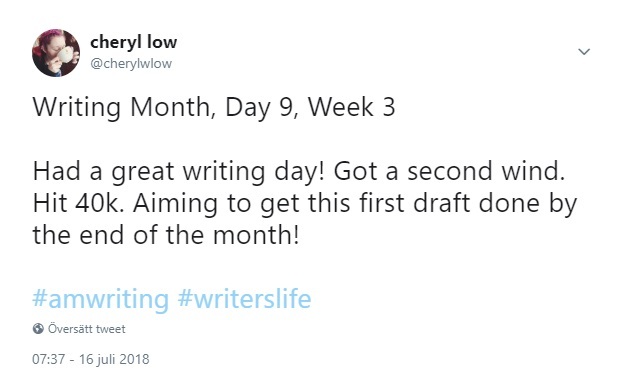 I usually do a Monday-Friday writing schedule and this time even that got a little off. 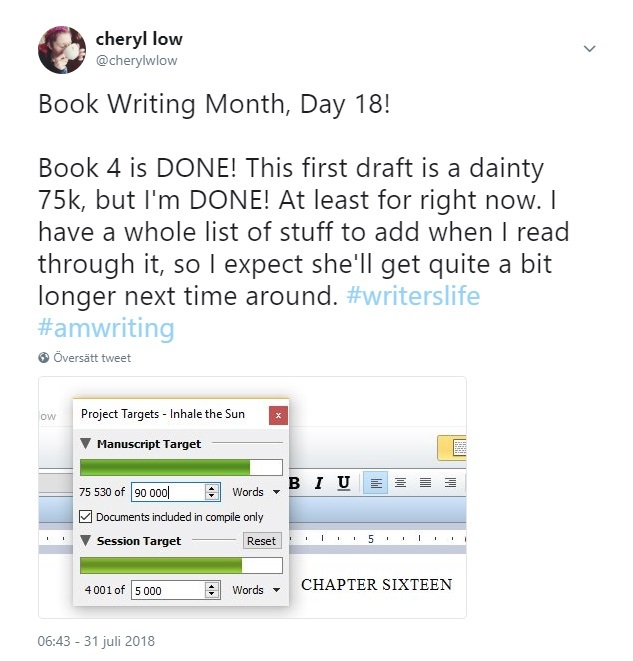 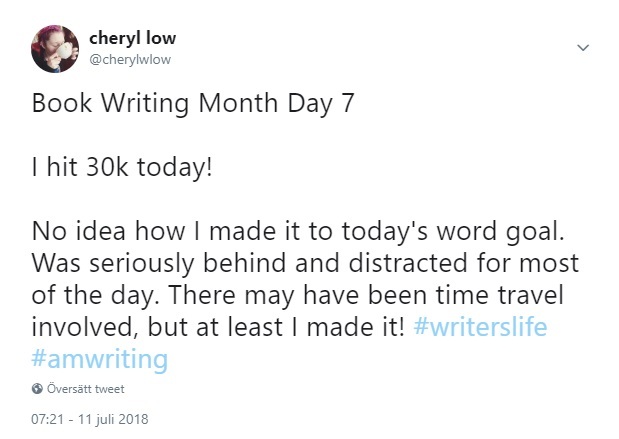 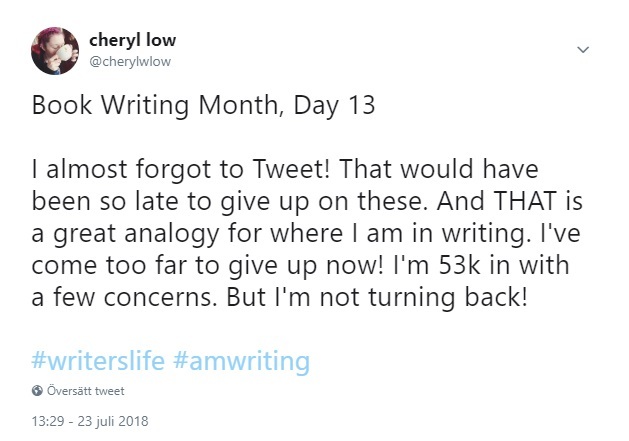 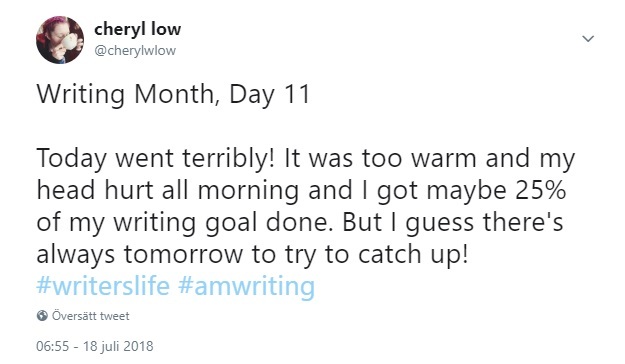 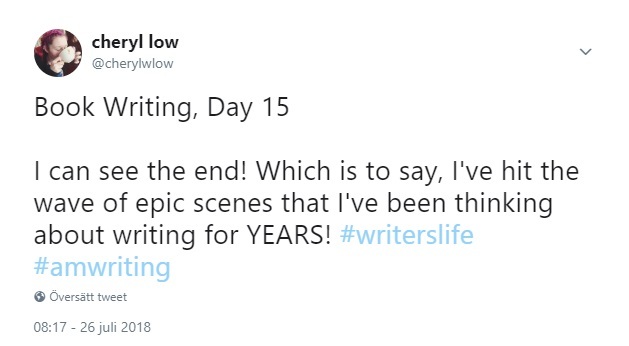 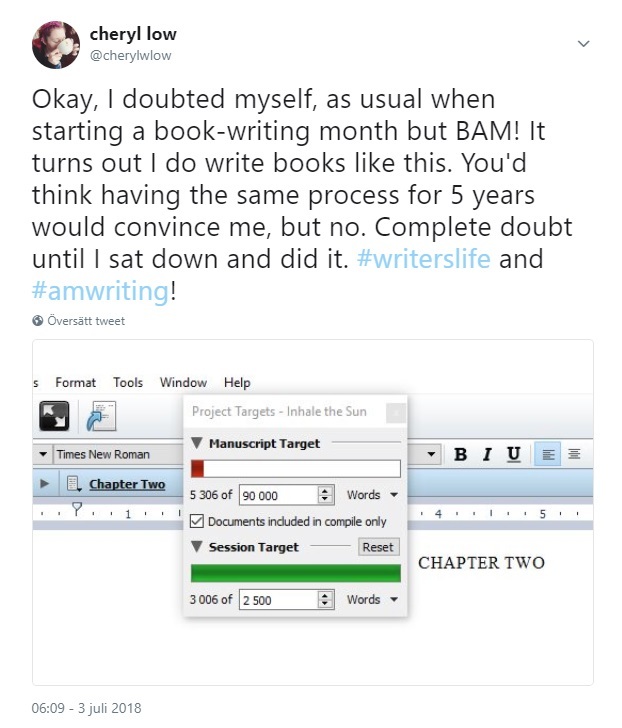 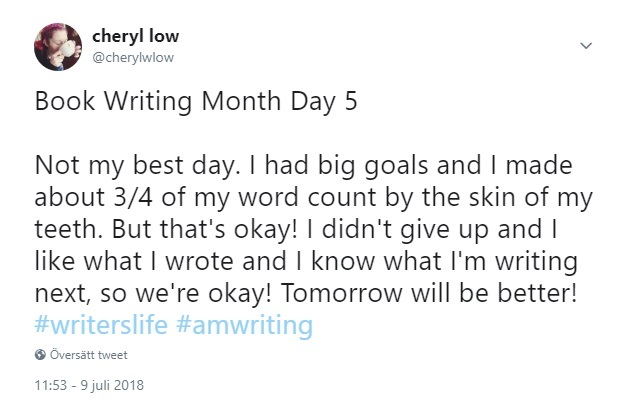 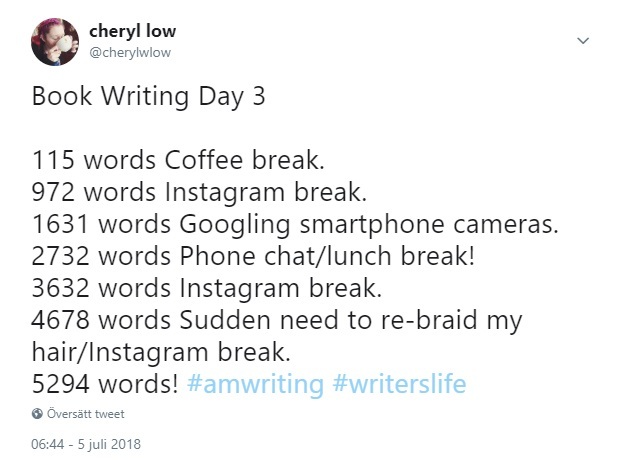 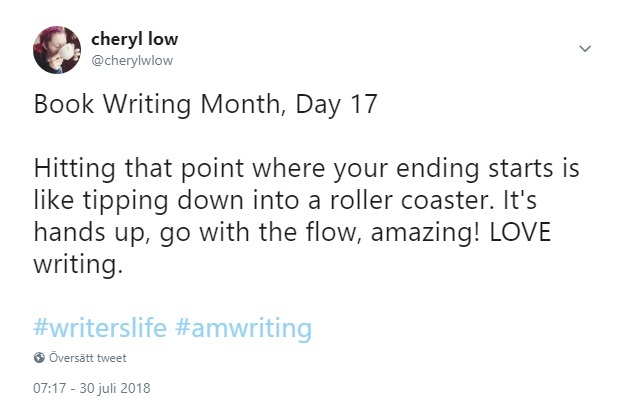 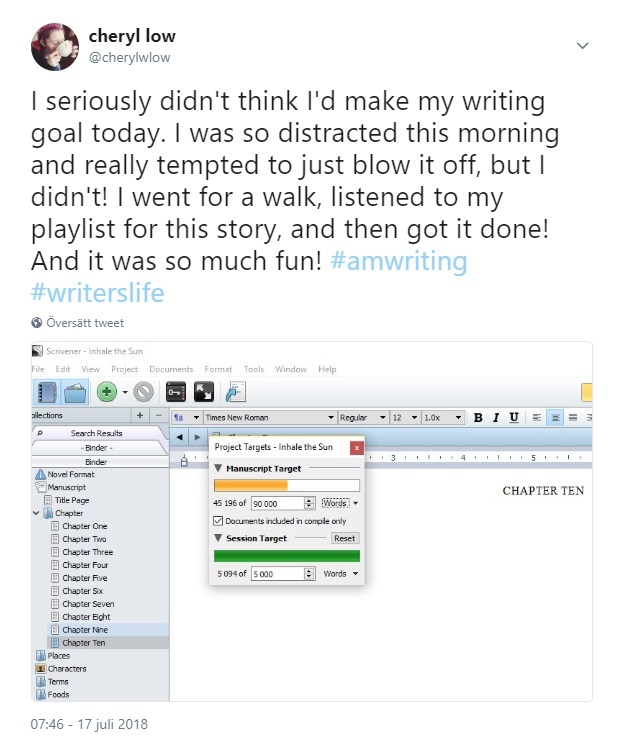 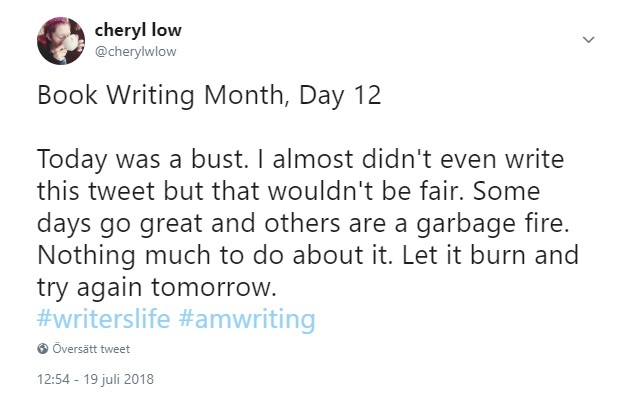 I tried to tweet for every writing day though! 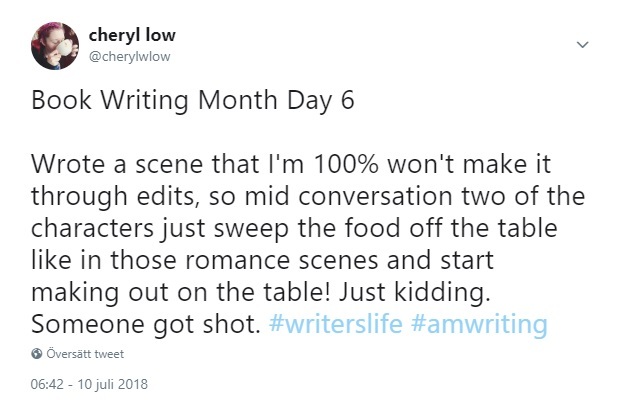 And bam! 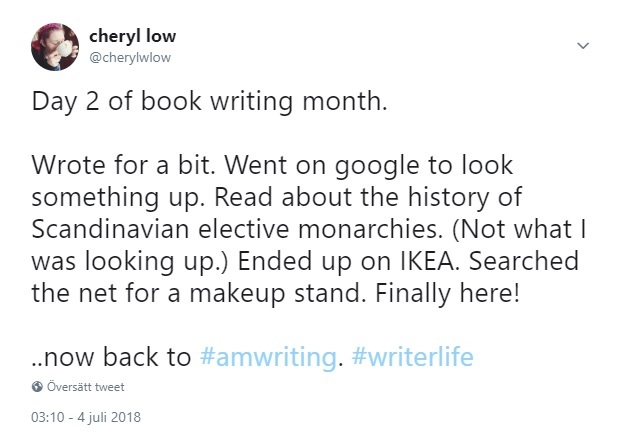 That’s how I write a book. 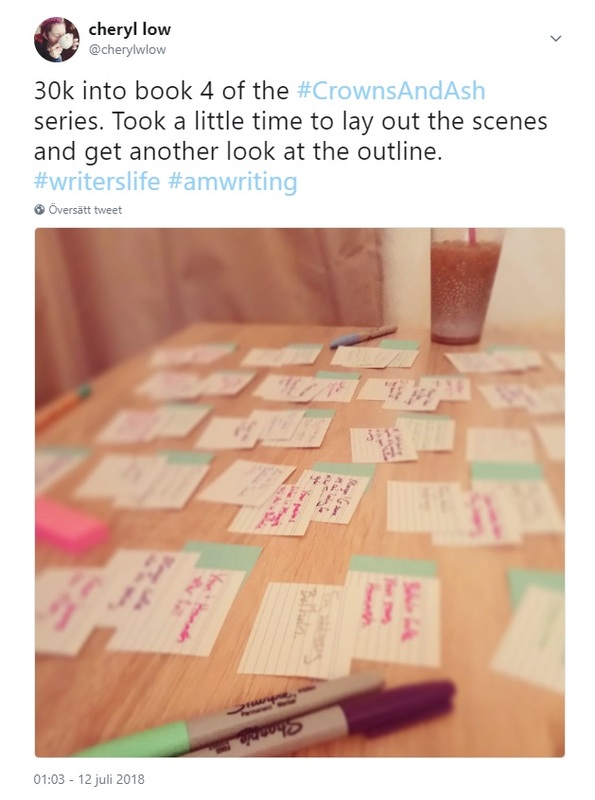 Well, that’s how I write the first very rough draft of a book with notes on the side for things to fix next time around. 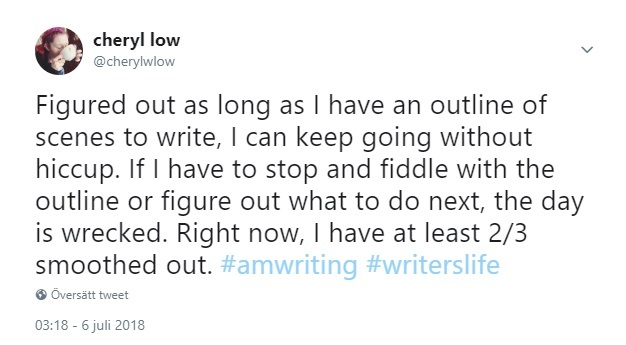 Every writer I’ve talked to has their own way of doing it, so no one way is right.